THE BAY The Series Press: SOAP CENTRAL: .The 44th Annual Creative Arts and Entertainment Daytime Emmy Awards, honoring excellence in technical achievement, were handed out on Friday, April 28. 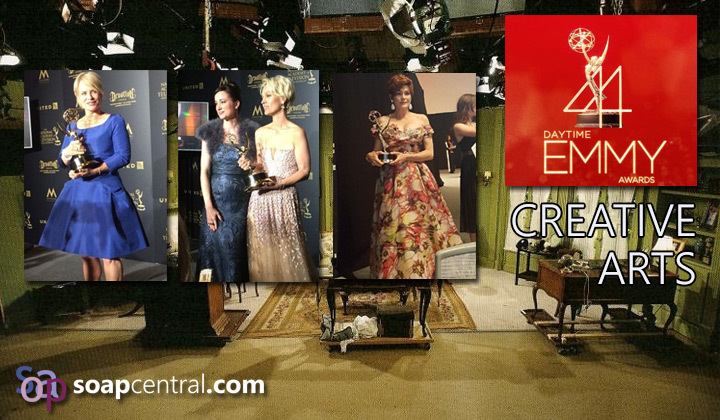 SOAP CENTRAL: .The 44th Annual Creative Arts and Entertainment Daytime Emmy Awards, honoring excellence in technical achievement, were handed out on Friday, April 28. This year, in addition to the Outstanding Digital Series category, there were four acting categories for digital series: Lead Actor, Lead Actress, Supporting Actor, and Supporting Actress. All five categories were swept by The Bay -- with at least three of the winners being well known to soap fans. Mary Beth Evans (Kayla Brady, Days of our Lives) won her second consecutive Lead Actress in a Digital Series award. Carolyn Hennesy (Diane Miller, General Hospital) picked up a win for Supporting Actress, and Nicholas Coster, who is known for a plethora of soap opera roles and who was nominated for four Daytime Emmys for his work on Santa Barbara, won his very first Daytime Emmy in the Supporting Actor in a Digital Series category. Kristos Andrews earned back-to-back wins in the Lead Actor category.